Cooper Brown Enterprises Ltd., the parent company of leading manufacturers BG Engineering, NiTEC Ltd. and Pentag Gears, has strengthened its senior management team with the appointment of Fabio Cosenza as Business Development Manager. 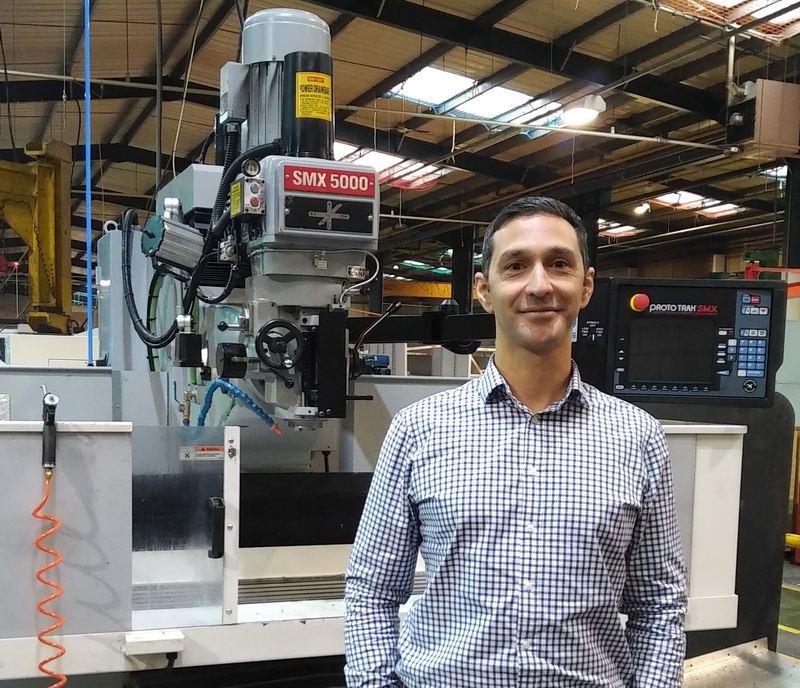 Fabio joins the business with more than 20 years’ experience within the mechanical engineering sector. Working alongside CBE directors Marie Cooper and Chris Brown, Fabio will use his extensive knowledge and expertise to expand sales and develop the client base across the company’s portfolio. In addition, Fabio is responsible for exploring new markets and strengthening partnerships with existing customers across BG Engineering, a leading subcontractor of precision machined components, NiTEC Ltd, one of the UK’s leading electroless nickel plating specialists and Pentag Gears, a designer and manufacturer of high quality gearing. “We are pleased to welcome Fabio to the team. He has joined the business at a very exciting time. BG Engineering has recently secured AS9100 accreditation, the international management system standard for the Aircraft, Space and Defence (AS&D) industry and we have achieved a number of new standards in occupational health and safety, quality assurance and environmental compliance at NiTEC. Cooper Brown Enterprises (CBE), owned by Marie Cooper and Chris Brown, invested in BG Engineering in 2017. BG Engineering, which is also co-owned by Managing Director, Anthony Holmes, then acquired Pentag Gears and Oilfield Equipment in May 2018. In August 2017, CBE also acquired a controlling stake in NiTEC Engineering Ltd and Spire Laboratories. For more information on BG Engineering, visit www.bgeng.com. For details about NiTEC, visit http://electroless-nickel-plating.co.uk/ and for information on Pentag Gears, visit http://www.pentag-gears.com/.